Founded in 1971, Fostermation, Inc. has long been a primary producer of precision wire component products manufactured to customer specifications. 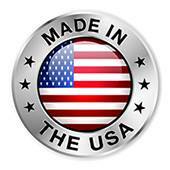 Fostermation, Inc. continues to achieve its goal of becoming your precision wire component supplier. Our knowledgeable staff offers a unique blend of experience in all aspects of precision specialty wire production. We offer both turning and cold-forming capabilities within one facility, an asset few other manufacturers can offer. Our primary processes include Swiss machining, CNC Swiss-Type Lathe work, rod & wire turning, straightening, cutting and upsetting; complimented by secondary swaging, knurling, thread-rolling, centerless grinding and heading operations. Working from your specifications and with our varied manufacturing capabilities, we will develop the best process possible to produce your component part in the most cost-effective, economical fashion available. In addition, we have long-established relationships with sub-contractors and can offer complete heat treating and plating capabilities with confidence. Of course, our ultimate goal is complete customer satisfaction. We offer complete SPC processing and JIT delivery, when required. In addition, we are continually working toward improvements within our own operation.